Why Don’t Debit Card Activities Help My Credit Score? You’ve heard it before: Building a healthy credit score is the key to a hassle-free financial future. If you’re using a debit card for your regular spending, you’re missing out on an important opportunity, since debit card activities don’t help your credit score. If you’re not sure why, you’re not alone. It’s important to understand the difference between debit cards and credit cards. They look and feel alike, but they don’t function the same way. A debit card is issued to you by your bank and allows you to tap the funds that are in your bank account in order to purchase items at a register or withdraw money from an ATM. This means that every time you use your debit card, you’re sending word to your bank that you’d like to access the money you’ve deposited to pay for something you want. You can almost think of your debit card as electronic cash, since the funds are taken out of your account as soon as you’ve swiped your card. Credit cards work much differently. Instead of reaching directly into your bank account to get the money you need to make a purchase, you’re tapping a line of credit. In other words, every time you use your credit card, you’re taking out a short-term loan from the card’s issuer to pay for stuff. At the end of your billing cycle, the loan — in the form of your credit card bill — comes due. A credit card operates on borrowed money, while a debit card doesn’t. 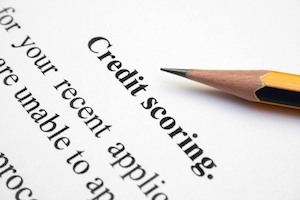 This small but important distinction means big things for your credit score. You might think debit cards sound like a smarter option for daily spending. After all, who wants to borrow money when they don’t have to? Yet, borrowing money now is exactly what you need to do to be able to borrow money in the future. The three major credit bureaus that calculate your credit scores only get information from lenders about your behaviors related to borrowing money. Any financial activity that doesn’t involve the lending and repaying of funds — for instance, saving, sticking to a budget or responsibly using your debit card — don’t influence your credit score. This might seem unfair, but it’s important to consider the primary purpose of credit scoring: It gives banks a quick tool to see how trustworthy you’ve been with money that’s been loaned to you. Because debit transactions don’t involve borrowing, they don’t give the credit bureaus any sense of how responsible you are with funds that need to be repaid. And that’s why debit activities have no impact on your credit score. Pay your bills on time – 35% of your overall credit score is determined by your promptness in paying your bills. So whether it’s your car note or your water bill, don’t let due dates pass you by. Keep your debt levels low – 30% of your credit score comes from your overall debt load, so don’t borrow too much. Establish credit as soon as you can – 15% of your credit score is determined by the length of your credit history, so start using credit responsibly as early as you can. For more information about what your credit score means and how it’s calculated, see this helpful Nerd resource. The bottom line: Debit card activities don’t rely on borrowed money, so they won’t help you build credit. If you want your plastic to lead to a good credit score, you’ll have to opt for a credit card. Just be sure to keep our tips in mind, however you choose to strengthen your score.